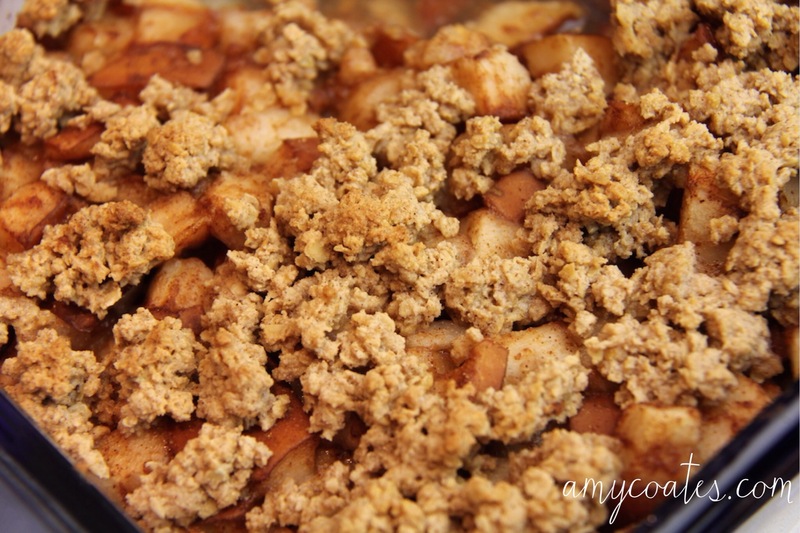 Our family loved apple crisp growing up. I can still recall the taste of it – So sweet. When I got older and started making it myself, I cringed at the amount of sugar used in recipes! This revamped recipe calls for pears for the sole reason that I didn’t have any apples and didn’t want to go to the store. This recipe has 3 tbsp of maple syrup instead of the TWO CUPS of sugar the original called for…yikes. 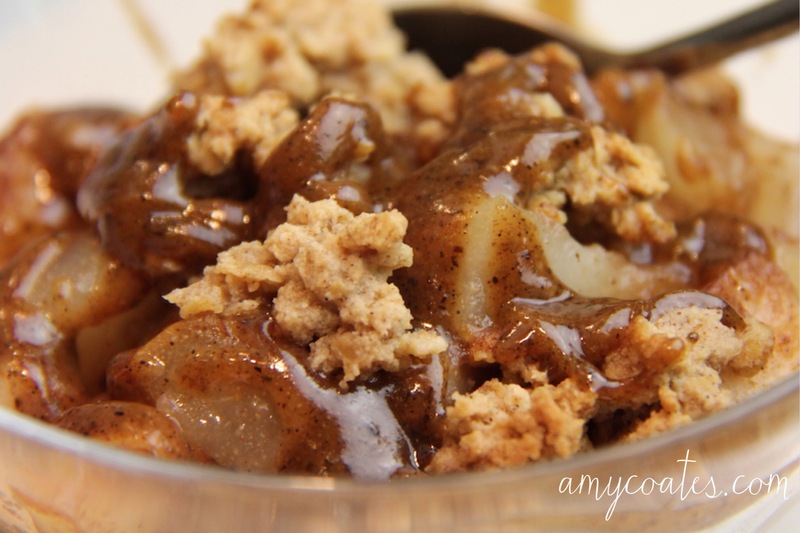 If you choose not to make salted caramel sauce, I would recommend doubling the amount of crumble. I went light on it knowing that I was going to pour a little extra sugar on top, and the result was perfect. Cut up the pears and mix in the cinnamon and flour. Pour into an 8×8 inch pan. For the topping, place all ingredients in a small bowl and mix well, melting the coconut beforehand in a pan if need be. Using your fingers, drop the topping mixture on top of the pears. Cook at 350F for 35-40 minutes. For the salted caramel sauce, if you’re lucky enough to have runny almond butter, just mix the ingredients in a bowl. Otherwise, place all ingredients in a blender. If your sauce isn’t runny, add more coconut milk to thin it out. Thank you Arielle! I have a lot of favourites and they all end up here eventually!